South-East leaders on Wednesday defended the policies of President Muhammadu Buhari, praising him for turning the gloom and despondency that engulfed the country in 2015 into a vibrant hope. They also commended the All Progressives Congress (APC) National Chairman, Chief John Odigie-Oyegun for holding the ruling party together. “Chief John Odigie-Oyegun is intellectually sound, results-driven and humble. He is an asset to the country’s democratic process” the leaders said. Rising from a meeting in Awka, the leaders commended President Buhari for advancing the interests of the Nigerian people through the processes of governance. Reading from a prepared text on behalf of the leaders, Chairman of South-East Unity and Advancement Forum (SEUAF), Chief Maxwell Okoye said the leaders praised Buhari for pursuing policies aimed at improving the livelihood of the people and repositioning Nigeria for good. The leaders who looked at the outcome of government efforts in dealing with challenges inherited said when APC assumed power in 2015, the country was engulfed in an atmosphere of gloom and despondency. “The economy was in complete shambles. Today, the economy is on the upward curve signifying the commencement of an era of sustained economic growth. The reforms have produced encouraging results” the leaders said. Pushing for a second term for Buhari, the leaders commended the ruling party for articulating a clear, compelling and attainable vision for the people, restoring harmony and confidence in a nation that was badly fractured as a result of bad leadership and the activities of terrorists and religious extremists. “President Muhammadu Buhari is healthy. He has restored the sheen of the presidency”. The leaders also praised Oyegun for leading the ruling party with adeptness, advancing ideas on how to tackle various challenges facing Nigeria, supporting the fight against corruption and impunity and increasing the electoral support and popularity of the party in the country. “APC is a model of transparency and accountability. It does not have a policy of use and abandon. There is no split in the National Working Committee. Oyegun is promoting peace, creating space for the young and managing issues in the party well” the leaders said. They urged those nursing presidential ambition in APC to put Nigeria ahead of their personal ambitions. 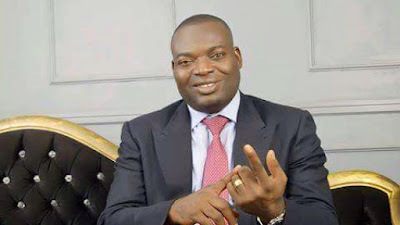 The leaders also extolled the leadership qualities and proven records of service of APC gubernatorial candidate in Anambra State, Dr. Tony Nwoye, urging the good people of the state to reject Chief Willie Obiano , Mr. Oseloka Obaze , Mr. Godwin Ezeemo , Chief Osita Chidoka , Mrs. Oby Okafor, Mr. Henry Ikechukwu Onuorah and others in the November governorship election. “The APC primary in Anambra State was credible and transparent” the leaders said. They commended the national leadership of the party for allowing the delegates to choose the party’s flag-bearer without interference. They also urged Andy Uba, George Moghalu, Chukwuma Paul, Madu Nonso, Nwibe Bart, Nwike Patrick, Obidigbo Chike, Okonwko D, Onunkwo Johnbosco, Uchegbu Adaobi, and Uzoh Obinna to work with the stakeholders in the interest of the party. And who exactly are the Leaders? Or should i say, which of the leaders camp is this coming from?